In August 2016, the first large cruise ship traveled through the Northwest Passage, the northern waterway linking the Atlantic and Pacific oceans. The following year, the first ship without an icebreaker plied the Northern Sea Route, a path along Russia's Arctic coast that was, until recently, impassable by unescorted commercial vessels. The study is published the week of July 2 in the Proceedings of the National Academy of Sciences. 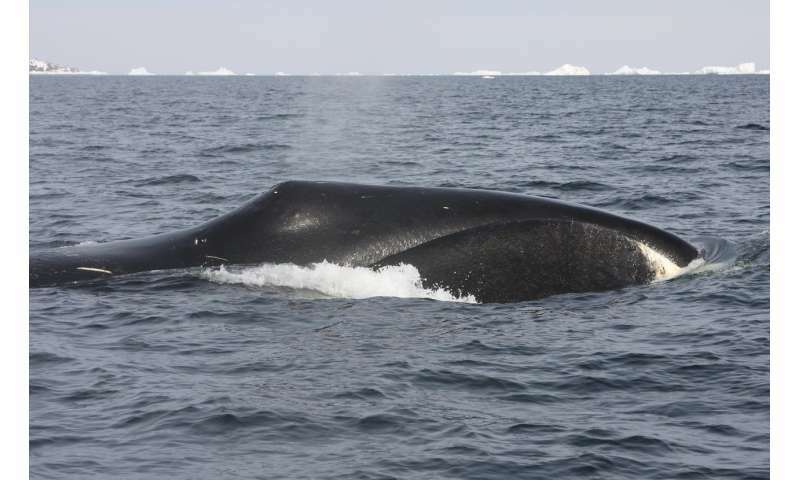 "We know from more temperate regions that vessels and whales don't always mix well, and yet vessels are poised to expand into this sensitive region," said lead author Donna Hauser, who did the research as a postdoctoral researcher at the UW and is now a research assistant professor at the University of Alaska Fairbanks. "Even going right over the North Pole may be passable within a matter of decades. It raises questions of how to allow economic development while also protecting Arctic marine species." 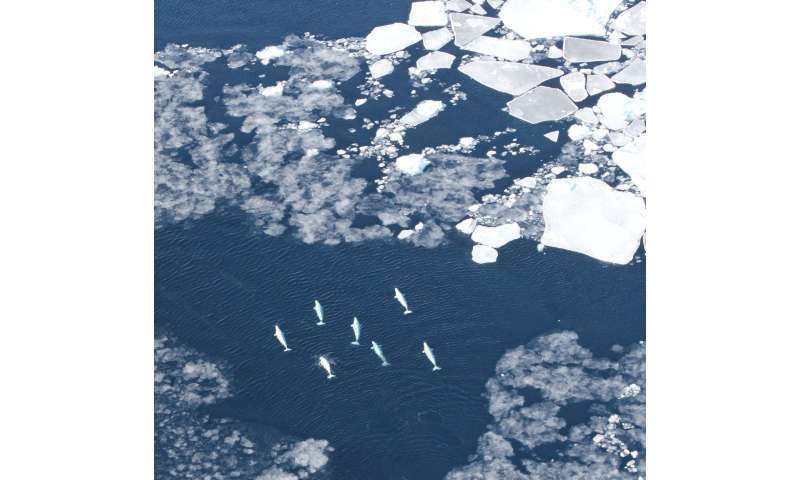 "Narwhals have all the traits that make them vulnerable to vessel disturbances—they stick to really specific areas, they're pretty inflexible in where they spend the summer, they live in only about a quarter of the Arctic, and they're smack dab in the middle of shipping routes," said co-author Kristin Laidre, a polar scientist at UW Applied Physics Laboratory's Polar Science Center. "They also rely on sound, and are notoriously skittish and sensitive to any kind of disturbance." The study found the least vulnerable animals were polar bears, which are largely on land during September, and don't rely on underwater sound for communication or navigation. Shipping in other seasons may have a greater impact. The paper also identified two "pinch points," narrow passageways where ships and animals are most likely to intersect. These are the Bering Strait that separates the U.S. and Russia, and Lancaster Sound in the northern Canadian territory of Nunavut. These regions had a risk of conflicts two to three times higher than on other parts of the shipping route. 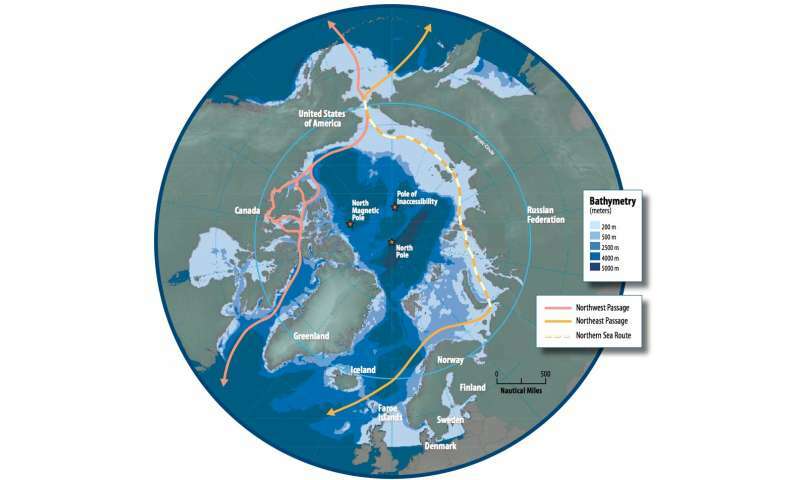 "These obligatory pinch points are used by migratory species to get in and out of the Arctic, but they are also necessary passageways for vessels using these sea routes," Hauser said. 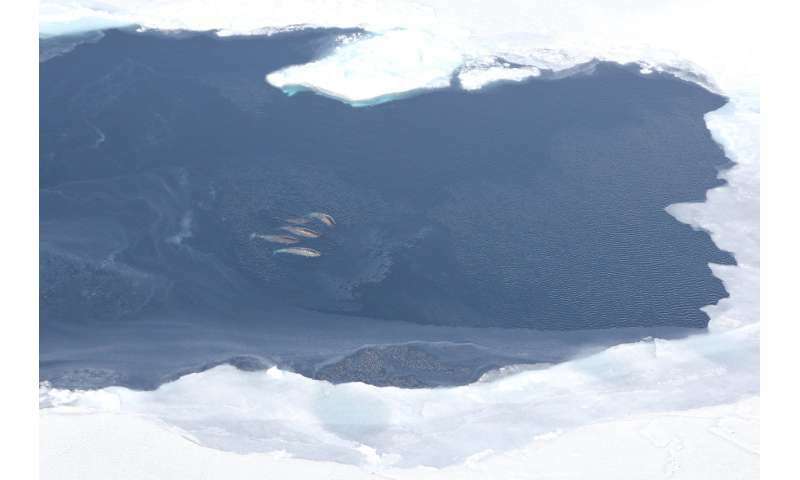 "Identifying the relative risks in Arctic regions and among marine mammals can be helpful when establishing strategies to deal with potential effects." "I think we can learn a lot from areas that have already been thinking about these kinds of conflicts between ships and marine mammal populations—for example the North Atlantic right whale, or fin and blue whales around California," Laidre said. 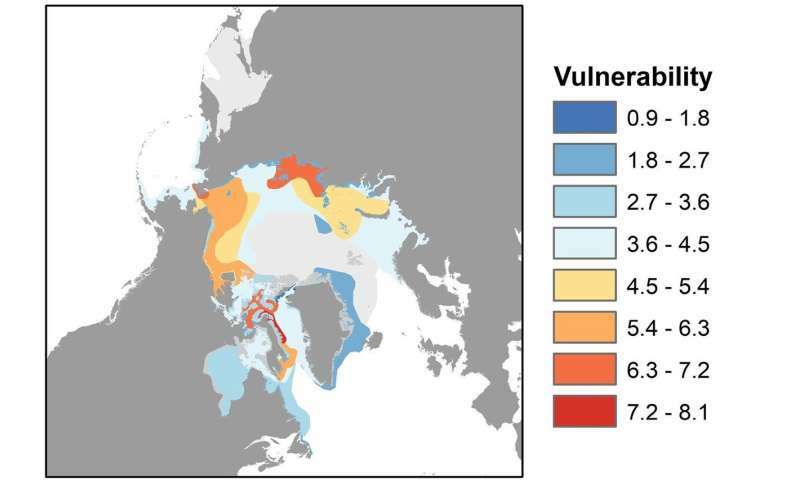 "We could aim to develop some mitigation strategies in the Arctic that help ships avoid key habitats, adjust their timing taking into account the migration of animals, make efforts to minimize sound disturbance, or in general help ships detect and deviate from animals."